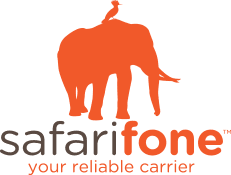 Safarifone is one of the leading solutions provided for Mobile Financial System (MFS) software, VoIP Services, and OSS/BSS software development. Our clients include some of the largest incumbent telco groups in Africa, and our products and services are available through our regional partners, as well as local agents and resellers. Our company specializes in OSS/BSS software development in the areas of MFS, Intelligent Networks (IN), and Next-Generation Networks (NGN) software, in addition to traditional carrier and wholesale services. With over a decade of expertise in the field, we provide our customers with a wide range of telecommunications services and software development using our state-of-art and carrier-grade equipment and technology throughout our points-of-presences (POPs) in the world. Fresh Graduates are strongly encouraged to apply as well. Graduates who have done their FYP in mobile applications will be strongly considered. · Native Mobile Apps Development by using Native Android SDK, iOS SDK and Windows Mobile SDK. · Experience and knowledge of working with HTTP(s), Secure WebSocket and TLS Protocols Programing. · Experience of Mobile Apps Integration with Backend servers such as Node.js, .NET Server, PHP or J2SE/J2EE Platforms. · Experience with Mobile Applications Publishing on Google Play, Apple ITunes and Microsoft Store. · 0-5 Years on Xamarin based Cross Platform Mobile Apps Development, and Native Applications Development in Android, iOS and Windows Mobile. Your performance appraisal will be done Annually. You will be provided with free lunch and tea services at office. Medical Insurance provided for self and family. After full time status you will be eligible for 30 Paid leaves per year.